'Tailored to you', I strongly believe that every one of us is uniquely different, our skin, our DNA and our personalities. Therefore, your treatment will be personalised and tailored to suit your individual needs. I look forward to working with you, along with our 5 star products, to achieve the best possible results. 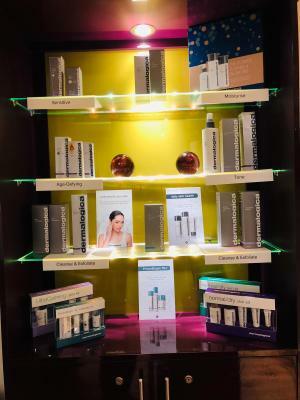 Dermalogica is an exclusive brand found in 5 star Spas and salons. After a successful visit from Dermalogica, who loved the salons features and design, they agreed to become our skin care provider. To this end we are now a partner with this excellent UK based company who only use natural ingredients in their skin care products. Expect to feel vibrant and glowing after your treatments. Dermalogica products have been designed to work in harmony with your lifestyle and will soothe away tension, relax your body and restore your energy. We have a wide range of Dermalogica products in stock and available to purchase. If you cannot find what you are looking for, then please let us assist you. If the item is not in stock we can order it for you. Booking a course of treatments can be cost effective in the long term. Please do not hesitate to ask about the discounts we have on offer. Gift vouchers are an excellent present for anyone. 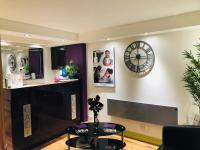 Our gift vouchers can be exchanged for any treatment or product up to the amount of the voucher. It can also be used in part payment. Vouchers are valid for 6 months. Please ask for details. I wanted to be a beauty therapist from a very young age and now my dream has become a reality. I trained at Fareham College to attain my Beauty Therapist Qualifications, up to level 3, achieving Distinction in every module. 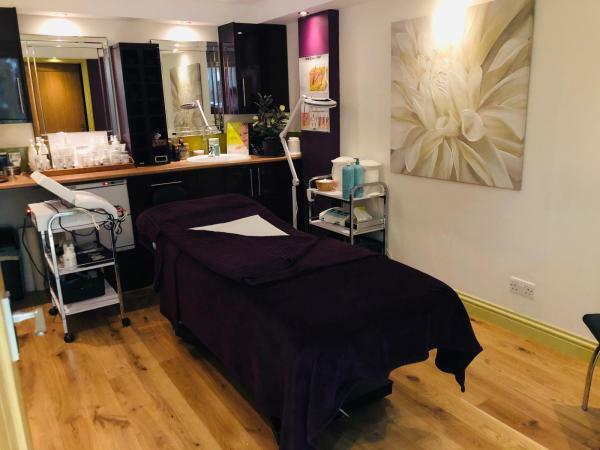 I have trained with CACI in London, Dermalogica in Leatherhead and completed my ACP (Advanced Cosmetic Procedures) qulaification with none other than Helen McGuinness . Over the last 13 years, I have treated clients on a daily basis with both 5 star products and achieved excellent results. I continue to work with new technology and products ensuring I am at the forefront of beauty development. I am qulaified for Advanced Cosmetic Procedures (ACP) to level 6, meaning I am also able to remove skin tags, thread veins, moles, blood spots and many more. Having worked in the industry for over 13 years I now consider myself an experienced therapist, who puts her clients at ease, and delivers a high standard of treatment and care. As a highly trained practitioner, I am delighted to offer Advanced Cosmetic Procedures (ACP). Advanced Cosmetic Procedure treatments using electrolysis are becoming increasingly popular as knowledge about these fantastic treatments increases. A wide variety of skin blemishes (i.e skin tags, moles, thread veins, milia and many more) can be quickly and easily treated with immediate and effective results offering an eventual blemish free smooth skin. Please get in touch if you would like any further information on these fantastic treatments or follow us on Instagram @beautybydesgnalverstoke for some examples of the fantastic results we are able to achieve. CACI has taken the world by storm. We have the top of the range non-invasive Ultimate CACI Machine. To keep you looking younger and more elegant throughout your life. The non-surgical face lift is ideal for people who want firmer, fresher and more youthful looking skin. It tightens, lifts and tones the facial muscles whilst helping to treat fine lines and wrinkles. The Ultimate machine can also be used to help reduce cellulite, stubborn fatty areas such as thighs and buttocks and can improve the appearance of age spots, stretchmarks and scars. The bust and stomach can also be enhanced with the use of CACI treatments.